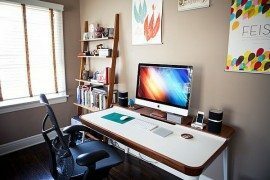 Whether you work from home or simply spend your free time aimlessly surfing about the internet, you likely spend a great deal of time sitting in front of a computer. Many people are tempted to pull up a kitchen chair to their desk, or sit crossed-legged on the sofa with their laptop in hand, but both of these options can result in a great amount of lower back pain. Whether you’re experiencing lumbar tension or simply ready to give your office space a small update, investing in a new home office chair may be the answer. Ergonomics are important. Whether you use your office as a home base for all business related activity, or simply as a space to review your household finances and pay bills, it’s important that you tailor the space for ultimate efficiency. There is nothing efficient about an uncomfortable work station. 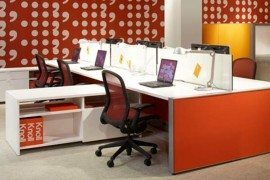 In fact, studied have proven that cramped or cumbersome work areas can actually decrease productivity. Instead, surround yourself with visually pleasing and comfortable furniture and décor – starting with a well made chair. You don’t have to compromise form for function. There are plenty of office chairs that are both aesthetically pleasing as well as comfortable. From high-backed executive styles to mesh variations or versatile operator chairs made for swiveling and moving about – the chair that works best for you depends on your needs. 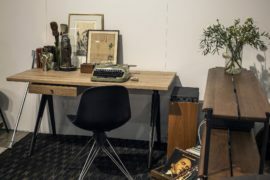 However, for each type of chair there are numerous designs, colors and materials including rich dark leather to soft, light suede or patterned fabric. Take time and weigh each option carefully. 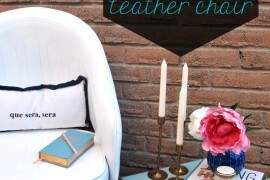 Also, remember that you can easily dress up the look of your chair with a simple cover. Comfort comes at a price. Although there may be plenty of low cost office chairs that suit your tastes, they may not be the best purchase in terms of durability. Generally well constructed, long lasting office chairs are going to cost slightly more than you may be prepared to spend. 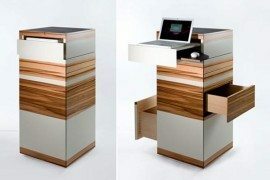 However, this is likely the most important element of your entire home office and a good office chair can offer you years of service. Have you thought of anything else. yourself?